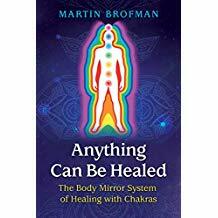 Drawing on his own profound healing experience as a young man, Martin Brofman developed a system of healing that effectively and seamlessly blends Western psychology and Eastern philosophies: the Body Mirror System. He explains how the chakra system connects to both mind and body to form a body/mind interface, allowing us to read the physical body as a mirror of the consciousness within, track the route from symptom to cause, and then work on releasing the causes on all levels. 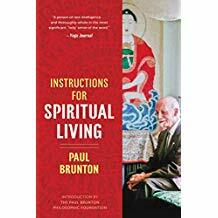 Brofman shows how specific tensions or symptoms on the physical level reflect corresponding tensions in one’s consciousness about specific issues in life–the inner cause to the outer symptom. The author explains how healing the symptom needs to involve not only releasing the tension on the physical level, but also letting go of the stressful way of interacting with the environment. 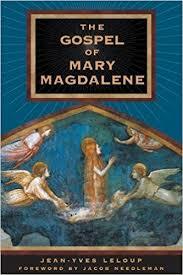 Thus, the process of healing always implies a process of transformation. Within the concepts of his Body Mirror System, Brofman explores the chakras and their role in the body, including their associated vibrations, parts of the body, senses, layers of the aura, and areas of consciousness. He explains how to clear and connect the chakras, how to connect to the cosmos through the chakras, and how engaging with thought forms, time travel, and past lives can assist in healing sessions. 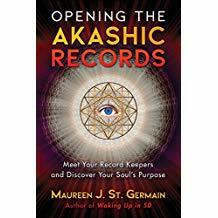 Discussing the healing of others as well as self-healing, Brofman describes how to heal with chakras, thought forms, white light, and love, and how to perform distance healing. He provides practical energy exercises and chakra meditations, allowing the reader to imminently experience the healing energy in their bodies and prepare for a healing session. He also includes color reference guides, such as a chakra healing chart. 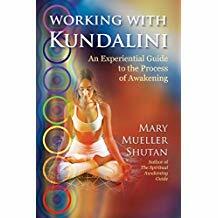 Deeply examining the multilayered elements of the healing process, including transformation, this classic healing guide serves as a practical introduction to energy healing as well as a healer’s tutorial and reference book. Available June 2019, Pre-Order yours today!